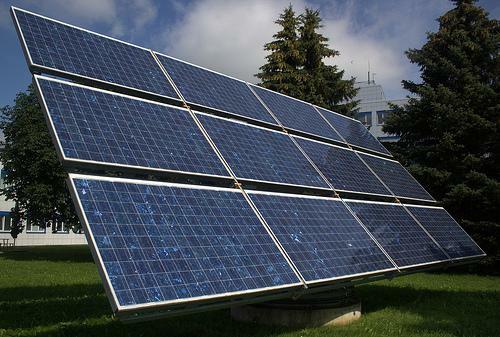 The biggest residential solar company in the country is coming to New Hampshire. SolarCity, which in 2014 installed 40 percent solar panels nation-wide, and is the fastest growing solar company in the nation. Their sales have doubled every year since 2010, to the point where last year they installed solar panels on 100,000 homes. But that’s likely not why you may have heard of them. “It started 7 years ago, two brothers, Pete and Lyden Rive, who yes are first cousins with Elon Musk,” says Lee Keshishian, SolarCity’s vice president of east coast operations. Musk – founder of electric car company, Tesla and rocket company SpaceX – is the closest thing that the clean energy industry has to rock-star. Keshishian says their operation in Massachusetts has expanded from one office to seven, including one 16 miles from the New Hampshire. In Massachusetts SolarCity’s business is helped by generous state incentives, which in the Granite State are more modest, but Keshishian says the two states share at least one thing: expensive electricity. “The price of power that we’re really comparing ourselves to allows us that competitive advantage, and it’s an environment we think is going to allow us to open a place and operate for years to come,” he explains. To start SolarCity will only be working out of their service center in Massachusetts, offering services to the Southern part of the state, though they do plan to expand North. Among renewable energy watchers, SolarCity has quite a reputation. “A lot of people see them as sort-of the Apple of Solar,” says Nick Culver, an analyst with Bloomberg New Energy Finance. SolarCity has worked hard at innovating the business model for solar companies. It is involved in every step of the industry – manufacturing, software, installation – and popularized what many consider the most important innovation in the industry to date. “The other thing they bring is finance, with a capital F,” says Culver. 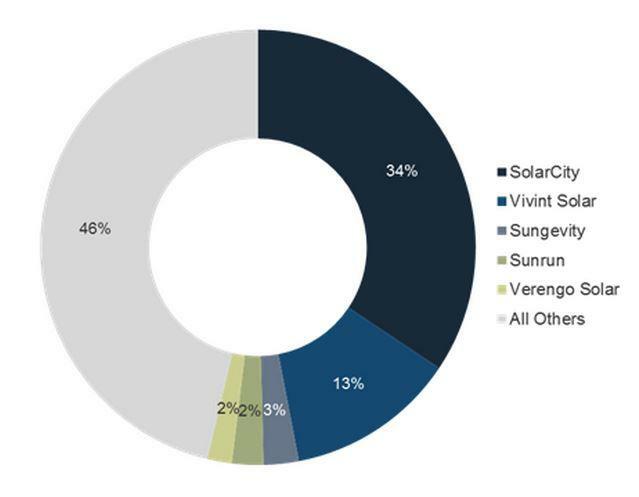 As of 2014 SolarCity had the largest market share of any residential solar installer in the country. 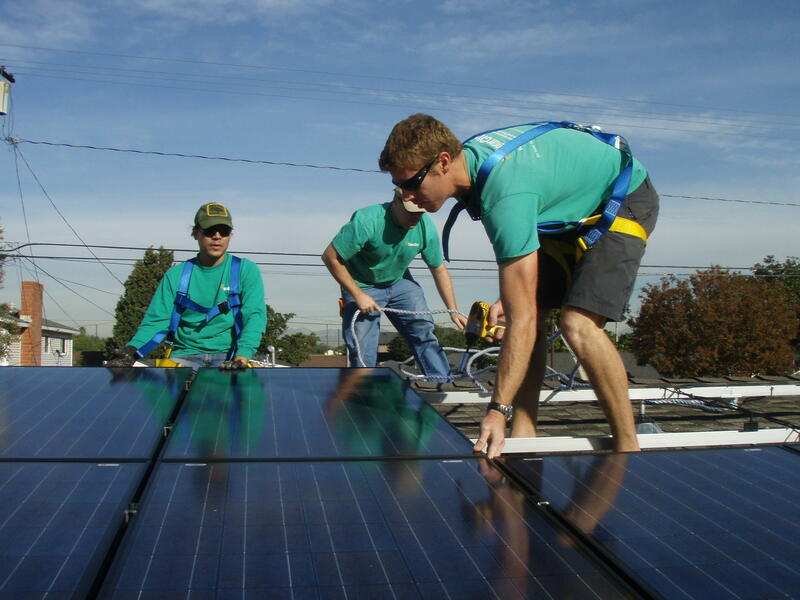 SolarCity is not gunning for your typical solar buyer. They say something on the order of 95 percent don’t own the panels that wind up on their roof. “What you’re doing is paying for the power, not the panels,” says Keshishian. If your house has good enough exposure to the sun SolarCity will lease space on your roof and sign you up for monthly payments that are 10 to 20 percent less than your electric bill. SolarCity’s approach lowers the financial bar for going solar, by letting people get panels for no money down. But not everyone sees this as great deal. 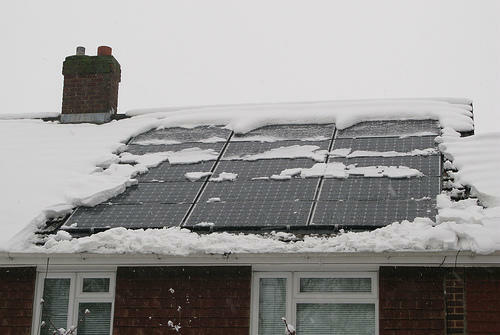 Fay says in the long run, the payback is better for consumers who buy their own solar panels. But there’s another way to see this. Analyst Nick Culver says when it comes to cash sales, SolarCity actually tends to be a little more expensive than other installers, but with its slick marketing and easy financing, in other states SolarCity has tended to broaden the market. “In a lot of these markets, if the pie is growing, then you know everyone is doing fairly well,” he says. And the more panels SolarCity puts up the bigger the pie could get. For instance, one recent study found that just living next door to someone with solar on their roof made it more likely some might end up on your roof. “I would see this as increasing the choices for New Hampshire homeowners, and then more broadly it’s probably a sign that the market’s going to accelerate,” says Culver. If there is an acceleration, it might not take long. “We have a few people that have been dedicated to the launch, they’ve been going through training and they’ll start surveying as soon as the first call comes in,” notes Keshishian. That first call could already have happened. As of yesterday SolarCity call centers got the word that New Hampshire had been added to their service territory, and the map on the website had been updated as well. In Peterborough, right next to the waste-water treatment plant, there’s what looks like a giant mud pit, with puddles covered with thick green algae. The New Hampshire Electric Coop will soon be the first utility in the state to fulfill a state-mandated requirement on how many customers are allowed to sell their solar energy back onto the grid. This has led some potential solar customers concerned about whether they will recoup their investment to bring their complaints to the Coop’s Board of Directors. To get what this brouhaha is all about, you first have to know what net-metering is. 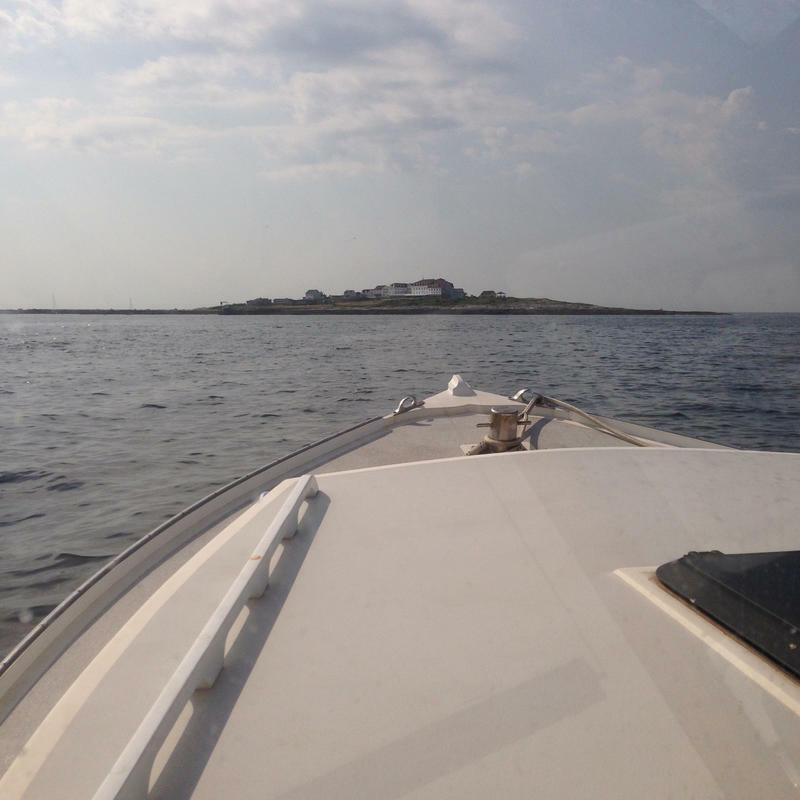 Star Island – a 43 acre spit of land in the isles of shoals, more than 6 miles off the New Hampshire coast – is installing enough solar panels to power roughly 30 homes and a battery array to back them up. The island is home to a hotel and conference center run by a non-profit with close ties to the Unitarian Universalist Church. Its efforts to go solar are actually culmination of years of work that some think are a model for how the future of energy could look on the mainland. Solar Power: Brightening Prospects In New England? This sun-fueled source is one of the fastest growing types of renewable energy in the country. Although still a tiny piece of the energy portfolio, many are taking note of this expansion, including traditional utilities. We’re looking at these brightening prospects for solar in New Hampshire and New England and the challenges that might cloud its future growth.